The Storage Group has created a local competitor data section within the Performance Dashboard™, called Market Intel™. 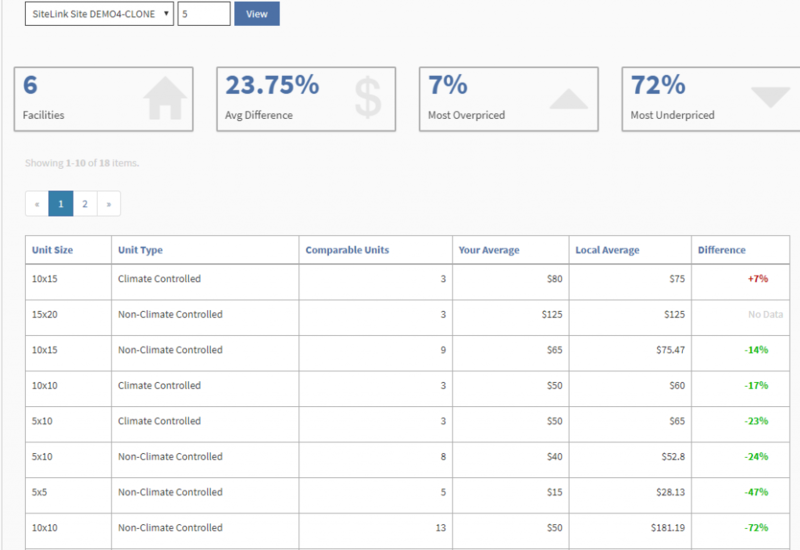 Market Intel™ shows how your facility’s prices compare in your market, including the average price difference. Competitor prices can be viewed by unit size, storage unit type and more. You will be able to see if your units are overpriced and underpriced compared to other facilities in your area. A map within Market Intel™ displays what facilities are being compared. 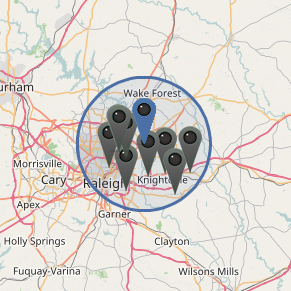 Market Intel™ allows you to select a specific mile radius around your facility to be used in the competitor comparison. With Market Intel™, self storage managers and owners can use the Demographics section to learn more about their local target market. This real-time information is especially important when making pricing changes and is essential in order to remain competitive in your target market.